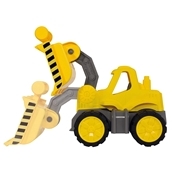 Young builders aged 2 and up have got a new favourite vehicle: The new BIG POWER WORKER wheel loader with large bucket has a load capacity of up to 0.5 litres. 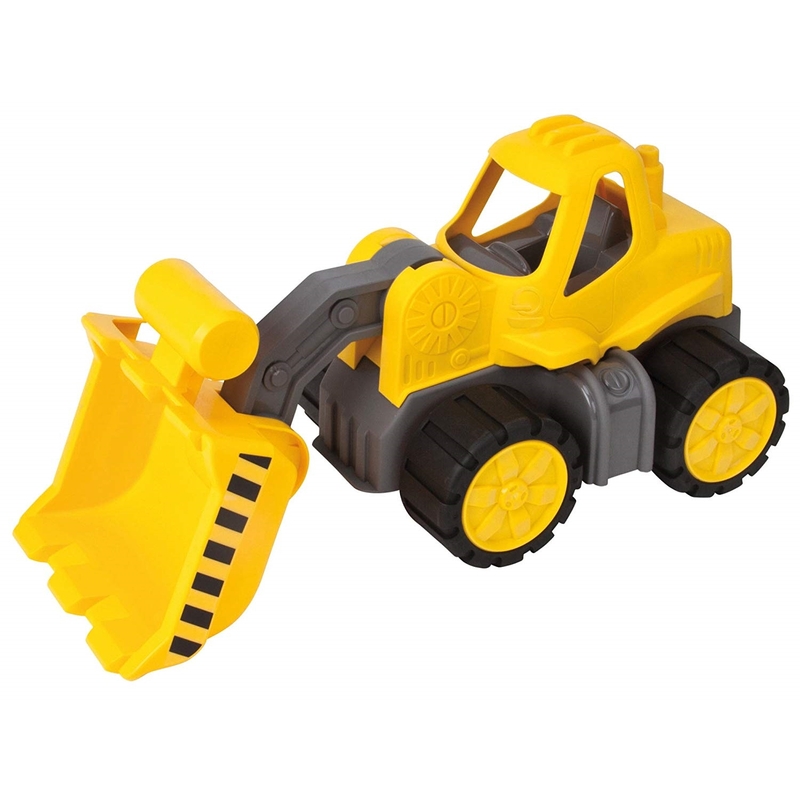 So it doesn't take long to excavate a small building site with this sturdy machine. The design of the new wheel loader is just like the latest construction vehicles. 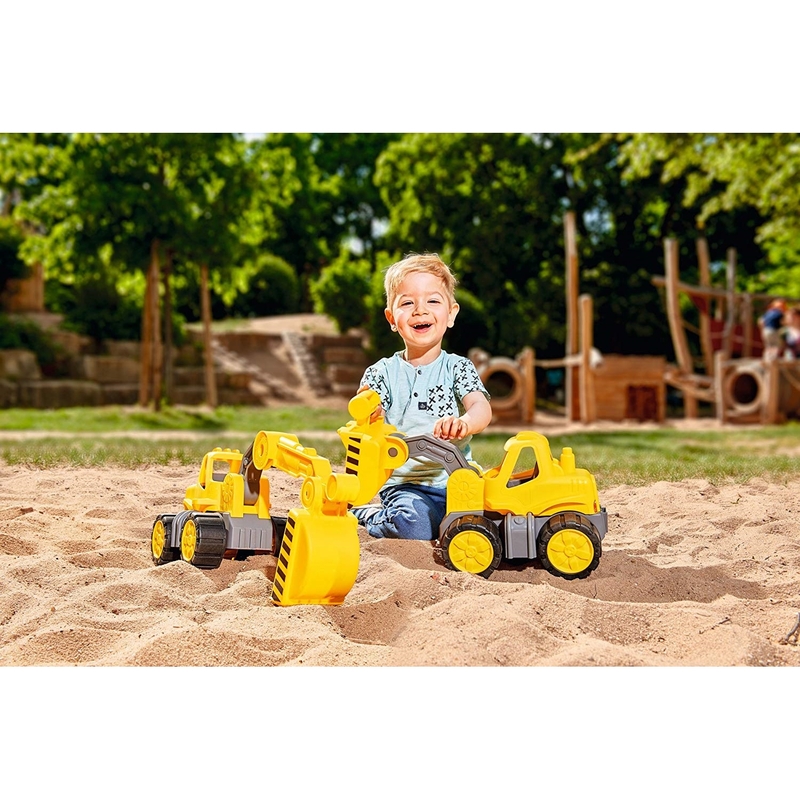 And as far as ergonomics are concerned, the new vehicle again turns up trumps, because the wheel loader is ergonomically designed to be just right for little hands, making it easy for young children to push or carry, or to tip the bucket. 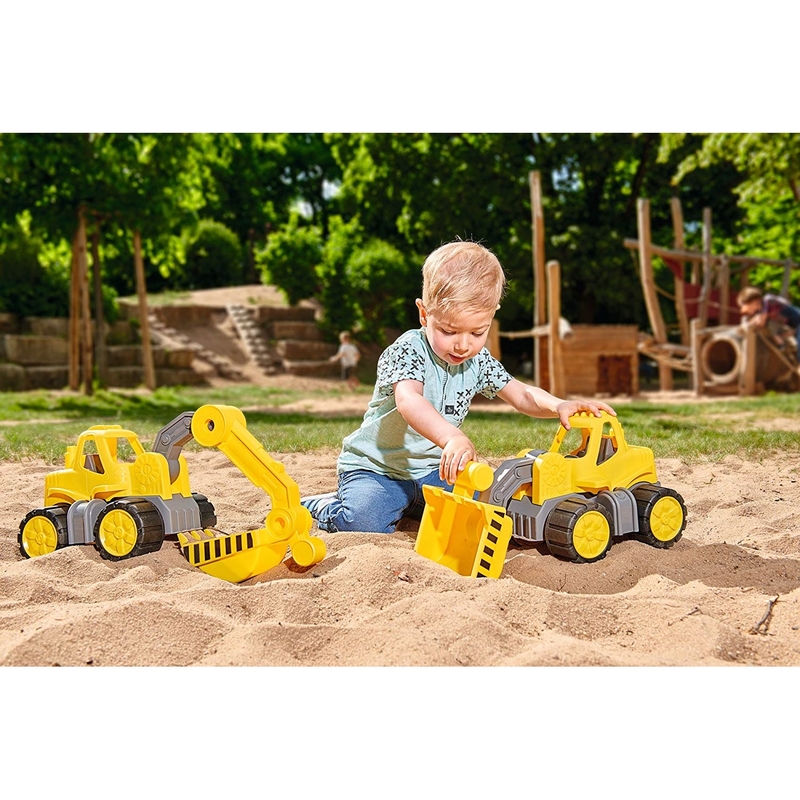 A special extra is the robust soft tyres that are fitted as standard to all of the BIG POWER WORKER range.